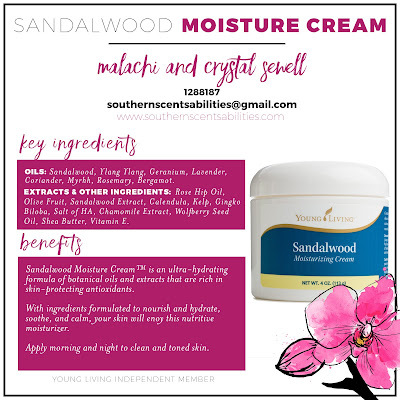 Southern Scentsabilities: Your Face Needs Moisture! Remember when I mentioned that the health of your skin is an "Inside/Out" thing? 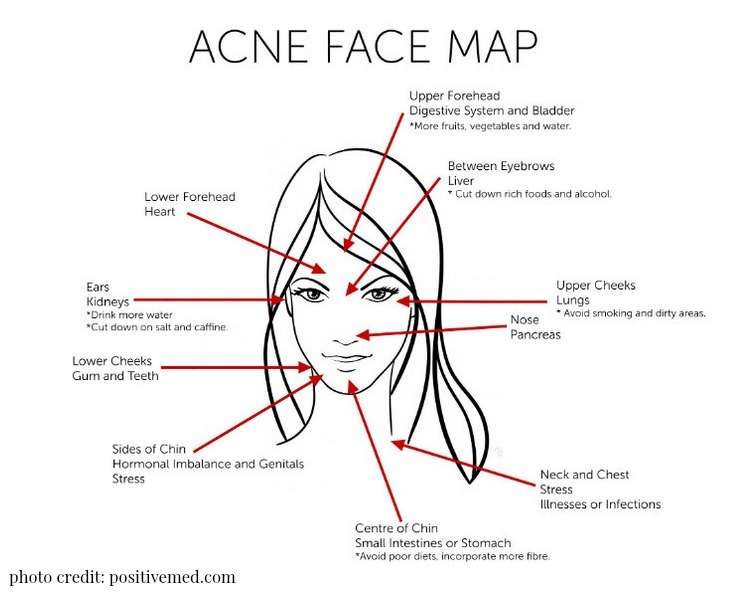 One of the things I've learned over the years, and even more recently, is that many of our skin issues we have that are reflected on our face are due to lack of hydration, poor diet, and stress. My grandmother retired recently and she worked in the Beauty Industry since well before I was born (I'm 34), and she's shared much of her knowledge with me over the years about maintaining healthy skin. I remember as a littler girl she would make her own facial scrubs with ingredients from the kitchen, that for the longest time I didn't even know people *bought* products like that. I figured everyone made their own skin stuff. As I have taken more of an interest in skin health and beauty after attending Young Living's Beauty School last year, I'm hearing so much restated that I've once heard from my grandmother. The most common things that negatively affect the health of our skin, are the very same things that negatively affect the health of our whole body - not enough water intake, crappy diets, environmental toxins, lack of sleep, lack of regular exercise, and stress. All of these take a toll on our body's ability to operate optimally and stay well. 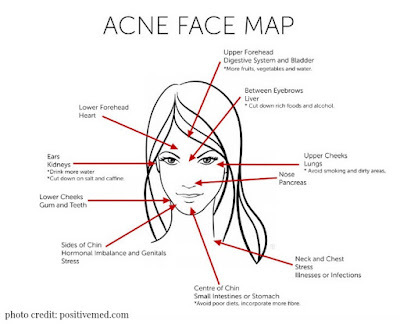 When it comes to our skin, we can learn a lot about our health based on the condition of our face. Typically, in life what happens is that our emotional well-being affects what we eat, if we exercise, and how we care for ourselves in general. Our inside affects our outside and that affects our inside. Vicious cycle if it is an unhealthy one, but turn the tables around and create a healthy cycle and our inside promotes a healthy outside which keeps our inside healthy! Our bodies need water. Water helps to keep us hydrated which in turn keeps our skin naturally moisturized and looking radiant. Water consumption also helps to flush our kidneys and liver so that our body functions optimally at removing waste. When we lack proper hydration, our skin starts to look and feel unhappy because all the toxins just get pent up and there's no natural moisture from the inside out. Now let's talk about some things you use on the outside to help support the health and appearance of your skin! Young Living has given us some great options for moisturizing our body! We are going to focus on the face, for now. Young Living's ART Light Moisturizer is for all skin type. It contains some of the finest ingredients that are known for promoting healthy moisture and protection. Ingredients like Sandalwood and Frankincense Essential Oils, Cupuacu Seed Butter, Opuntia Ficus (Cactus), Summer Snowflake Bulb, Polygonum Aviculare, Licorice Root, Olive Fruit, and Aloe Vera. 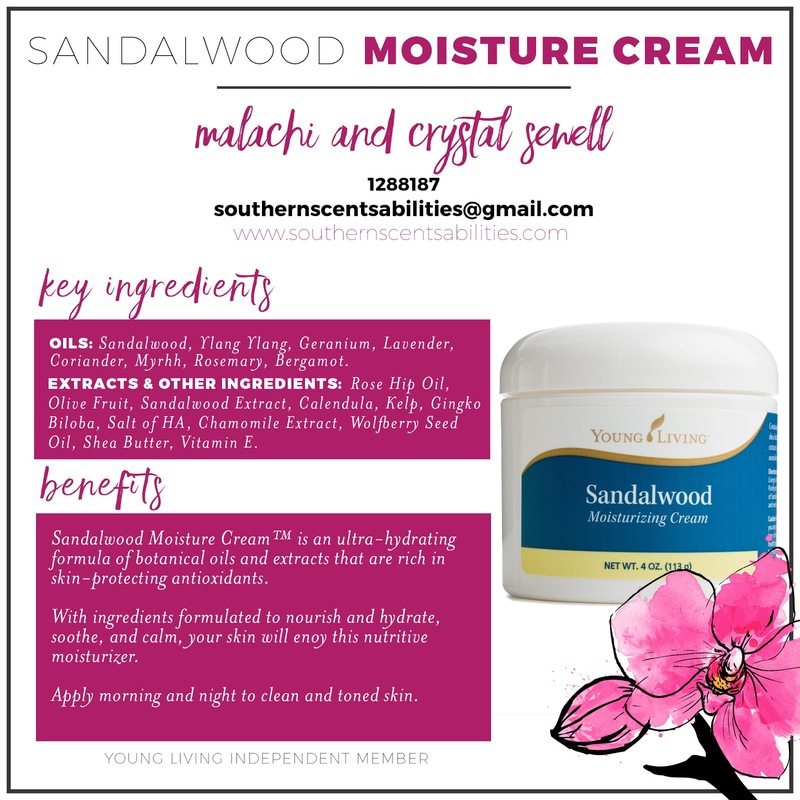 If you are looking for an ultra hydrating moisturizer, Young Living's Sandalwood Moisture Cream may be just what your skin needs! 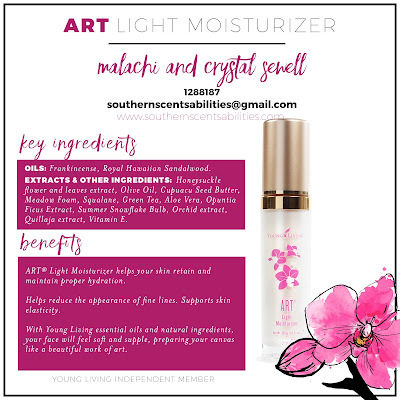 It contains luxurious ingredients like Myrrh, Sandalwood, Rosewood, Lavender, and Rosemary Essential Oils, MSM (Sulfur Component), Wolfberry Seed Oil, Rose Hip Seed Oil, Olive Fruit, Sandalwood Extract, Calendula Extract, Chamomile, Kelp, Ginkgo Biloba, and Sodium Hyaluronate. Both of these moisturizers are great for promoting healthy hydrated skin. Couple that with a great healthy diet, optimal hydration, elimination of environmental toxins (as much as is in your control), getting enough rest, and finding healthy outlets for releasing everyday stress - your skin will be happy! What about restoring your skin or addressing areas that just need a little more that just a cream? Would a Serum be good for you? We will talk why serums are beneficial next time.